AUGUST 3, 2012 -SECOND POST – NEW DEVELOPMENTS CONFIRMED; THE WHIFF OF EMBARRASSMENT AT THE U.N.
SECOND POST – AUGUST 3, 2012 – NEW DEVELOPMENTS IN SYRIA. It has been reported that Lt. Gen. Ali Mamlouk, former Director of General Intelligence, has been relieved of his duties and appointed Chief of National Security. This, in essence, completes President Assad’s inner cabinet after the assassinations of generals Rajiha, Shawkat, Yikhtiyar and Turkmani. 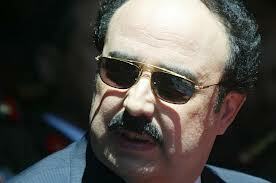 General Mamlouk is a Sunni and extremely respected in the Syrian intelligence community. His deputy is now Lt. General Abdul-Fattah Qudsiyyeh, who was formerly chief of Syrian Military Intelligence. We believe, but are not certain, that General Deeb Zeitoun, another Sunni, will replace General Mamlouk. General Zeitoun was former head of the Bureau for Political Security. Lt. General Ali Mamlouk now becomes “Intelligence Supremo” following in the footsteps of General Muhammad Al-Kholi. We wish him complete success. Also, in the same vein, Lt. Gen. Rustum Ghazali, a Sunni and former head of Syrian Military Intelligence for the Damascus countryside, is now director of the Bureau for Political Security. General Ghazali was not very popular when he was in charge of Military Intelligence in Lebanon. He is known for his gruffness. 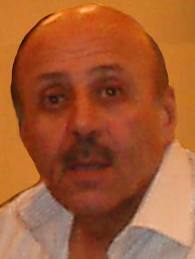 He was recently reported by Al-Jazeera to have tried to escape to Jordan and ask for asylum. That turned out to be typical Al-Jazeera hogwash. The reasons for these new appointments aren’t altogether clear. Yet, there is the gnawing suspicion that these men were not able to shoulder their duties adequately. Much may have to do with the failure to interdict the plot to assassinate the four generals. That was a real lapse. You cannot blame us for this. The child molesting apes of the Arabian Peninsula are at it again, but, with a twist, this time. You see, they just found out that most countries did not want to support any resolution, enforceable or not, which called on a sitting leader to resign or step aside. So, the illiterate Arabians, tasked their Palestinian clerks with a re-write. (Many of you don’t know this, but the Saudis can’t read or write their own language). The Saudi text now omits any talk of Dr. Assad leaving his post. That won’t change anything, however. We still predict embarrassment and degradation for that race of grubs who wear the same bedsheets they sleep in day after day, forever and ever. We’re not saying they won’t get a simple majority; we are saying that it won’t be by much. SYRPER HAILS ANNAN’S DEPARTURE AND SNIGGERS AT HIS INSINCERE DISPLAY OF FRUSTRATION. The U.N.’s “special envoy” to Syria has quit and promised to leave his post by the end of this month. He blamed everyone for his difficulties. He pointed fingers at finger-pointers in the S.C. He made blithe comments about the “unwillingness of all parties to implement his plan”. He derided political interests as an obstacle to “diplomatic success”. Ban Ki Mun, international kimche salesman and U.N. Secretary General wept for his friend and extolled his qualities. We are touched. In this rarely exhibited photo of Kofi before his appointment as envoy for the S.C., he submitted himself in a resume as “culturally appropriate to handle Arabian matters”. 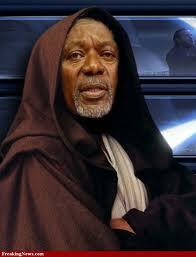 Mr. Annan is from Ghana, by the way.